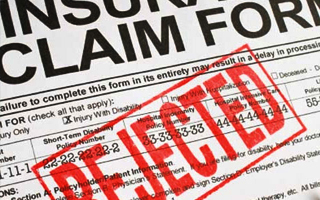 Insurance companies have catchy slogans about being “in good hands,” or being treated “like a good neighbor,” or it’s “on your side.” Despite paying premiums for years or decades, many insured quickly see those promises evaporate when they make a claim after an injury or loss. A legally binding insurance contract creates a bundle of responsibilities for the insurance company and a bundle of rights for the consumer purchasing the policy. The consumer has to pay premiums and cooperate. The insurance company has to abide by the terms of the policy, abide by the state’s Insurance Code, provide all coverage under the policy, thoroughly and quickly investigate claims, promptly pay for all covered losses, and fairly deal in good faith with the insured consumer. Disputes with insurance companies can be either “first party” or “third party.” First party disputes include disputes about payments due under Personal Injury Protection (“PIP”), Uninsured Motorist (“UM”), and Underinsured Motorist (“UIM”). Third party disputes include not defending claims, or not settling claims within policy limits. Actions for “bad faith” are also available for insurance companies who put their interests ahead of that of their customers. State legislatures have mandated that the insurance companies pay attorneys fees in many cases against insurance companies. This allows consumers to retain quality attorneys even for insurance disputes over “small” amounts of money, such as in PIP claims. Law Offices of Devin Robinson, P.C. regularly takes on the biggest insurers in the country on behalf of its clients, in claims of just about any size.